To make sorting easier, the Week number (ISO) dimension now contains a zero when needed, e.g. Week 01 to Week 53. This is especially helpful for users of our Google Data Studio connector who use week number filters in their reports. The Google Analytics uploader has been improved to allow choosing a dimension to be used for Source and Medium, as was previously made possible with Campaign. This gives you the ability to set up more flexible uploads and reduce the number of rules needed. 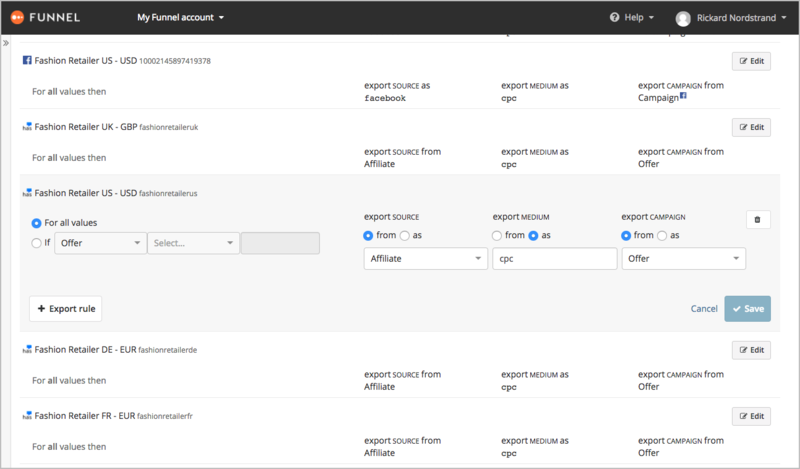 For example, with affiliate ad platforms, you can now use the value from a native dimension as Source instead of manually adding specific rules for each affiliate. Uploading cost from DSPs is another great use case, where Site/Publisher/Placement dimensions can now be used as the Source value.